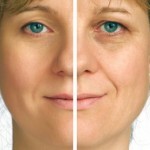 The reshaping of the nose is sometimes essential to enhance your appearance as well as body image. But you should not think that changes in your looks will change your lifestyle. Our self-steam is usually get affected by our looks, so it’s a common phenomenon among average human being that certain parts of anatomy bothers. For both the men and the women the nose is often a source of discontent. When our nose has certain characteristics that makes it less attractive or it is out of proportion, we often think of ways to change its appearance. Read Also: Why a Nose Job is a Complicated Procedure? 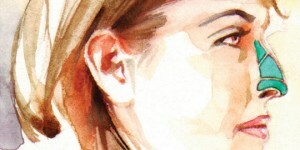 Rhinoplasy is a common procedure to reshape a nose. However there are many facts and fictions attached to it. Let’s get to the bottom of some of its facts. Fact/Fiction – Rhinoplasy surgery can affect your voice. According to some famous facial plastic surgeons who have long been in practice; it’s a fact that sinus surgery, rhinoplasty and septoplasty can all potentially affect your regular voice quality. Due to the fact many vocalists never consider a nose job, although the changes are generally very minor and are not evident to normal ears. Fact /Fiction: Your nose job could melt if you appear too much in the sun. It’s a complete myth. However a shred of truth attached to it. A black market nose job trick was very popular once that is known to use candle wax injections to give a new shape to the nose. Obviously, candle wax cannot resist heat for long. Fortunately, these procedures are illegal. The rhinoplasty surgeon uses biological tissues that are 100% legal and certainly will not melt in the sun. 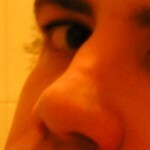 Fact/Fiction- Rhinoplasty may affect your sense of smell. It’s a fact. It’s almost certain that after the rhinoplasty surgery your sense of smell will diminish to a certain extent. Luckily, it’s temporary and does not last long. 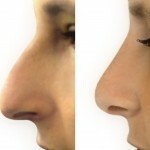 Taste sensation and loss of smell after a rhinoplasty is normal and tends to improve within 3-6 weeks. Permanent loss of smell is also possible, but it’s very rare. Fact/Fiction – If your surgery doesn’t go well, you may end up with a detachable plastic nose similar to Michael Jackson was rumored to have. First of all, it’s a rumor that MJ had a detachable nose. The nasty rumor was first started by Ray Hultman—A juror from Michael Jackson’s 2005 trial. Secondly, there is always a small possibility of a rhinoplasty surgery to go wrong, however there are many different options that are available for revision. Fact/Fiction – If you are considering a nose job, there is a brighter chance of you being crazy. Well, there are fifty-fifty chances of you being crazy. A study done in the past suggests that one out of three people who opt for a nose job have a mental condition known as Dysmorphic Disorder (BDD). The study involved 226 patients. Of the patients received nose job for purely cosmetic reasons, over 43% diagnosed with BDD. If you are really considering a nose job, it might be worth getting a second opinion.